Welcome back to another week's Fine Motor Fridays! Today's Fine Motor Games are so very simple to set up and so versatile too! They make nice little concentration games that could be used to focus on bilateral coordination and visual scanning. My son really likes to tinker and figure things out. He loves books with moving parts and any toys with a cause and effect aspect. He really liked the lid wheels I made for him and I'm always trying to think of simple activities for both kids. I didn't know how my daughter would like this, she is more into pretend play these days but…well she can find a way to pretend play with just about anything it seems! 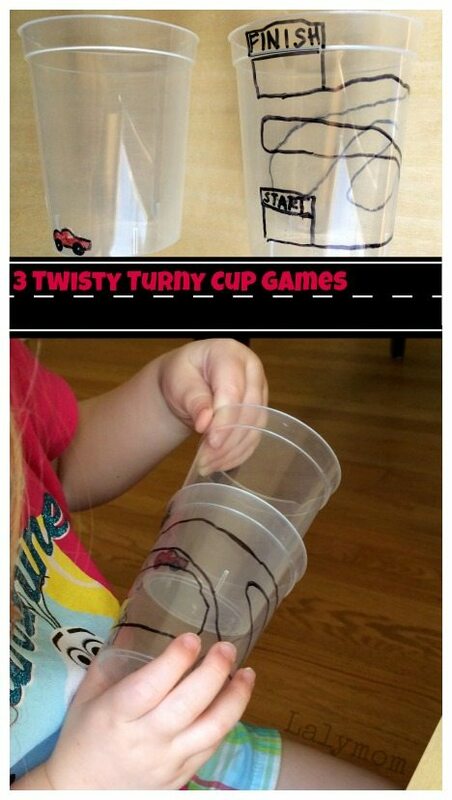 Even these simple cup twisting games! A few notes about the materials I used. I think large clear plastic party cups would make these bigger but we only happened to have these small cups on hand. Either way you would need at least one clear cup, and one other cup of the same size to fit inside it. You can use markers if you prefer to draw on the cups, I tried Crayola washables but they rubbed off too easily. The sharpies only rubbed off if I tried to rub them off so that was my pick. The stickers obviously were fine. I made a few different versions all using the same cups so you can see that I got all the marker off. The first game I made was a race track and race car. This one really would have been better with bigger cups but it was still fun! I tried a car sticker at first but the ones we had were a bit big so I drew it. For the race track cup I simply put the car cup inside to see where the starting point would be, drew the start line, drew a long winding line as the road and the drew the finish line. The goal is to follow the race car along the road. If you have more than one kid, you could try timing them and see who can do it faster! The second one we called Number Munch. I drew a little “Muncher” (basically PacMan) on one cup and stuck number stickers on another cup. And then I was done. 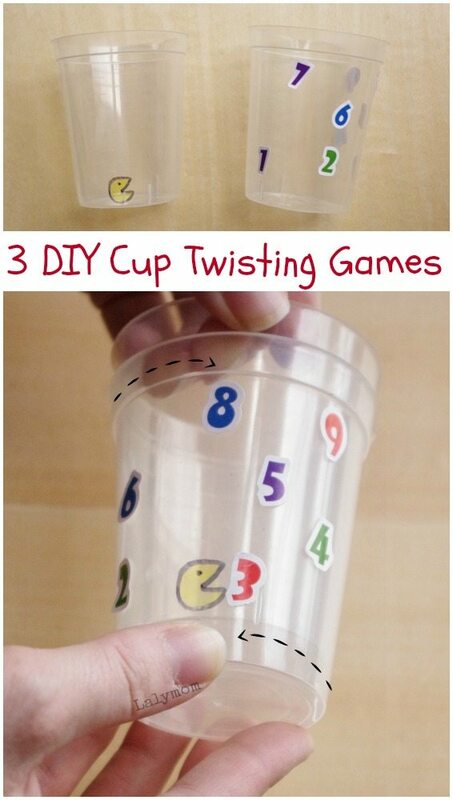 The goal is to start the Muncher at number 1 and twist and pull the inner cup to munch each number in order. You could mix it up and do letters or even skip counting if you want. The last one used stickers again, and my daughter liked this one the best because she added some personalities to the stickers. We decorated the cups together, which is sneaky bonus fine motor work on its own! We placed a butterfly sticker on the bottom of one cup and flowers and bees on another cup. The goal was to fly the butterfly to all the flowers so it could eat. But watch out for those bees! 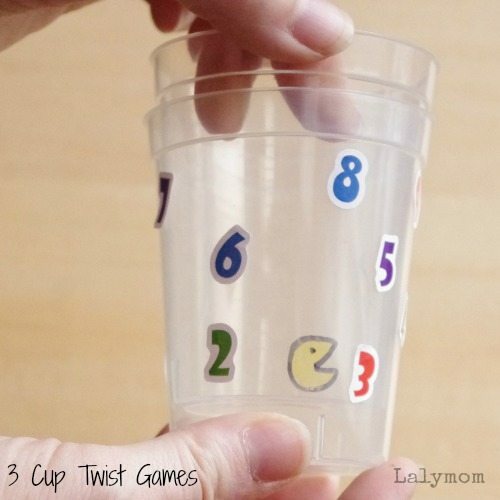 I could think of a million themes for these cup twist games! PacMan, of course, holidays, cartoons- any theme that your child is interested in! What theme would you choose? I'd love to hear about it in the comments! 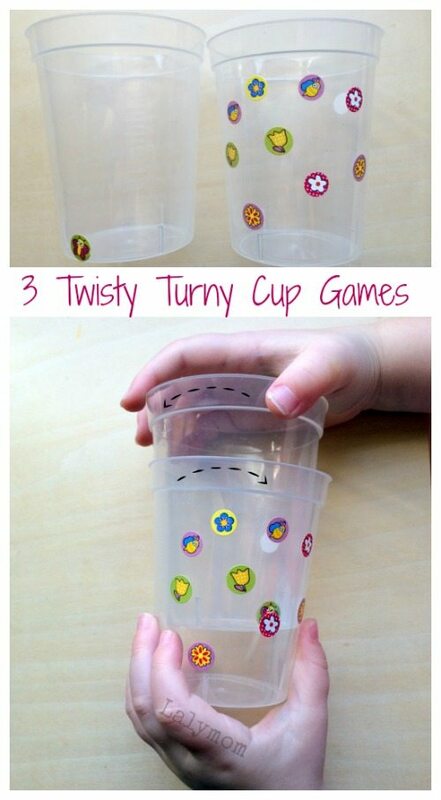 Each week, the Fine Motor Fridays Crew offers you super playful fine motor skills activities like these twisting cups fine motor games! 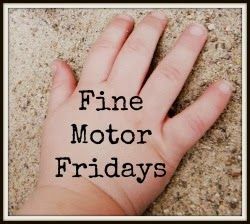 Check out the other posts this week and follow all the fun on our Fine Motor Fridays Pinterest Board! I love that race car and track one! Great ideas! Super cute idea! This would be great to stick in a church/waiting bag for a quiet activity also. Thanks for sharing! I will have to get some cups out and get started! My son is two, so I will have to simplify, but he could so handle a version of this. I love this activity. Super creative and inexpensive. Not to mention great for fine motor skills, bilateral coordination, and visual tracking. This is such a creative, inexpensive activity that not only encourages fine motor skills but bilateral coordination and visual tracking skills! The possibilities are endless. I personally like your car one. A simple drawing and the activity is all set to go. This is such a neat idea! The car one is really cool. How cool are those games?! Hubby will be bringing his used water cups home from work for us again! Thank you for sharing with Mom’s Library, we’ll be featuring you this week at Crystal’s Tiny Treasures. Have a great week! Awesome! Thank you for sharing your brilliant ideas!